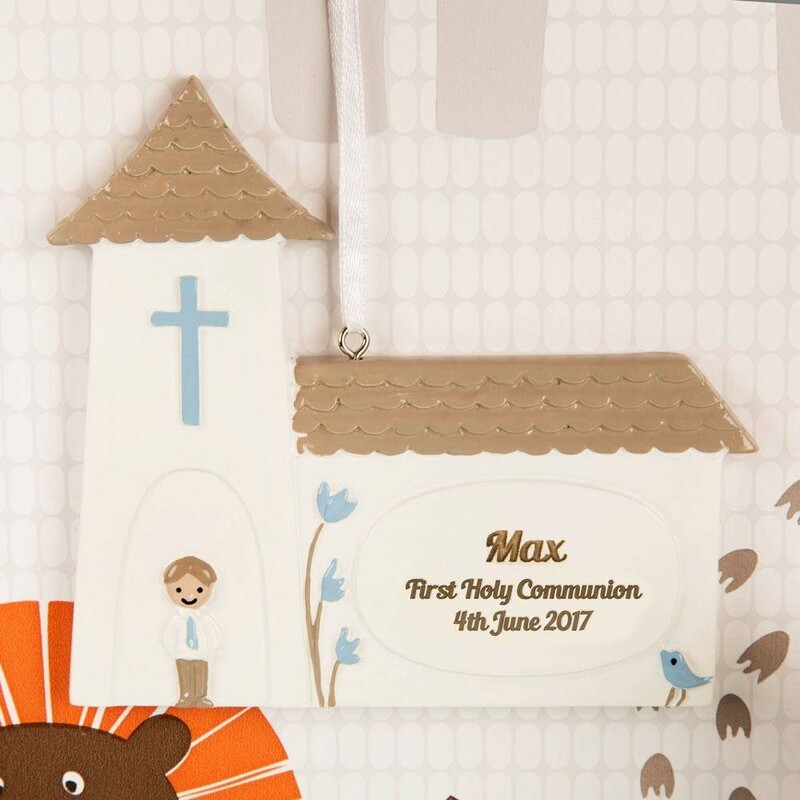 This decorative church makes a unique keepsake gift for a boy celebrating his First Holy Communion. The cute design features a little boy standing at the church door, with blue details on the cross and bird. 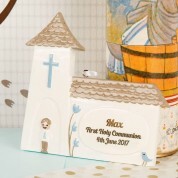 It is fully personalised with his name and the date of his First Communion. The text is laser engraved, making it a gift that will truly last.